The 2019 CPG Talent Market Report is an extensive in-depth analysis of cross-industry trends for you to use as a resource throughout your hiring process. As leaders in the people business, we know it takes great talent to drive business and company growth. We surveyed hundreds of talent management decision makers across the consumer products industry who weighed in on their recruitment and retention strategies in today’s war for talent. In this first edition of this report, we’ll explore benefits and compensation in industries that include wine and spirits, beer, food/non-alcoholic beverages, beauty/personal care/wellness, and cannabis. Future editions will be released throughout the year on such topics as Hiring Trends, Team Structures, and Employer Brand. WHAT IS THE 2019 CPG TALENT MARKET REPORT? Investing in retirement has changed significantly over the years. As pension plans have fallen by the wayside, an increasing number of companies have ruled in favor of the employee-funded 401(K) program. As millennials grow and mature, the demand for maternity, paternity, and family leave have become the most popular benefits offered among employers. Employees in the CPG industry receive generous raises, especially when you compare that number to the national average, which typically hovers around 3 percent. Raise percentages are highest across the cannabis, beauty, and beer industries. Are you offering fair-market compensation across your organization? Access cross-industry salary data for the most popular roles in the consumer products industry, including (but not limited to) VP of Sales, Director of Marketing, Supply Chain Manager, Brand Manager. Copyright © 2019 FORCEBRANDS, LLC All Rights Reserved. Qualtrics is a survey software tool used to design, send, and analyze online surveys. Qualtrics currently works with more than 9,000 clients worldwide, including 75 percent of the Fortune 500 companies. Their verticals include manufacturing, retail, consumer goods, technology, healthcare, hospitality, food, government, financial services, and academia. Qualtrics Research Services has executed more than 28,000 research projects and works with more than 3,000 clients worldwide while maintaining 90M+ panelists. 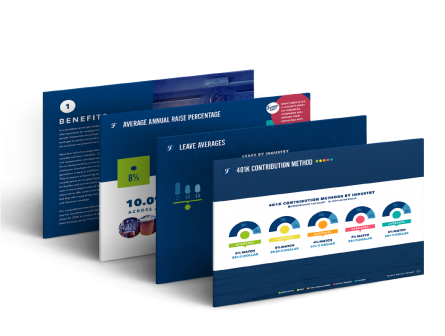 Macro compensation, benefit, employer branding, and hiring trends herein are based on an online survey in partnership with Qualtrics conducted between October 8, 2018, and January, 15th, 2019. Salary figures by job title were compiled by using a variety of internal and external compensation data resources.